with courteous and professional service. to achieve our mutual goals. THE GOLD SIGNS REPRESENT THE GOLD STANDARD IN EXPERIENCE AND SERVICE. Welcome to Chamberlain Real Estate Professionals. Property information sheets require Adobe Reader to view. Click here to download free Adobe program. This home was built in 1932 and has over 1300 sq.' of living area on the main floor & 1172 sq' in the basement. The home features the period collanades and large front enclosed porch. Steel siding and asphalt shingles. Beebe Street and Grace Streets. facelift to restore to it's "grandeur". SOLD "AS IS" and will need to be a cash sale. Large and spacious 3 bedroom, 2 bath home with main floor laundry. Permanent siding on both the home and detached 2 car garage. Generous kitchen and dining area with snack bar and french doors to lovely covered 8x32' front porch. 3 bedrooms upstairs with 3/4 bath and tons of end wall storage. This home sits on two city lots and for extra storage, 2 garden sheds. Seller says NO reasonable offers refused, make an offer!! This charming home is perfectly kept and would be a great home for someone who wants something smaller or starter home. 2 bedrooms on main with one in the basement with egress window. New windows and full fenced in backyard. 50x100' lot with off street parking. Lovely & original 1920's features seen through-out the home. Private rear yard with garden shed and large established shade tree give the backyard a relaxing area to kick up your feet and get on with your evening. Spacious 2 + bedroom home with main floor laundry, 2 + 1/2 bathrooms and off the backyard, a nice mudroom with closet and storage area. Upstairs in the finished loft is the perfect area for the extra company or larger family to excape from the main floor and enjoy the private area with 2 bonus rooms and t.v. room. All appliances stay including washer and dryer. One can imagine my excitement to represent the owners in offering this getaway dream of a lifetime for the avid adventurist or sportsman while living OFF THE GRID. Situated on 5 acres and located 225 miles to Anchorage and 35 miles from Homer with beautiful views of the Kachemak Mountains. Staging area is located 4.5 miles from the cabin so get your snow mobile or 4 wheelers out to make the trek. One of a kind property with 90% of the surrounding is the Alaska public areas. Moose, elk & bear are plentiful in this area and with two cabins, it is a perfect set up for family and friends. Can't beat the best drinking water provided from the artesian well located within walking distance. More coming soon, but call today for more information. Will trade for a house in the Chamberlain & surrounding area. You'll enjoy all this lovely home has to offer. 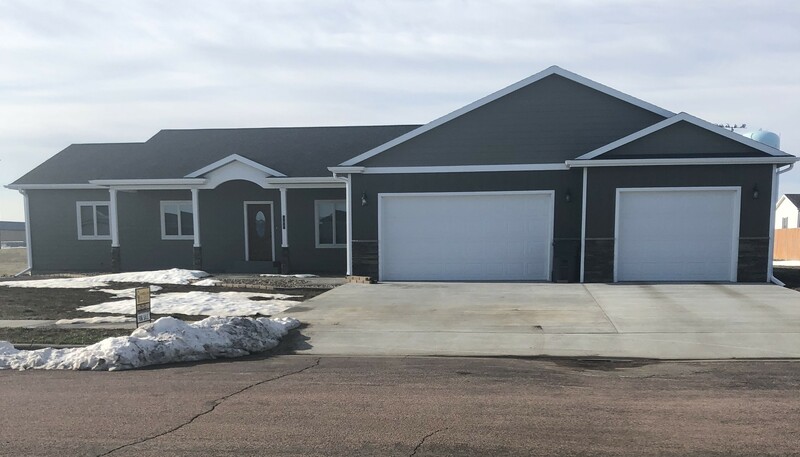 2016 construction featuring 3 bedrooms, 2 baths and beautiful dark floors with complementing Schoenhard knotty alder cabinetry through-out the home. Over 1600 sq' of on the main floor with a full unfinished basement. Two egress windows in the basement for future finishing as needed. Main floor laundry, propane fireplace, master bedroom with walk-in closet and bath. Triple car insulated & finished garage. Yes, it's like you are the only one sitting on top of the river. Situated on 2.41 acres with amenities one would never have thought of. Decorative drive with warmed concrete garage floor. 1564 sq' of wonderful interior craftsmanship offering a very spacious open floor plan with walk out to a full house width decking. Beautiful hardwood floors, island, built-in fireplace, double oven, Jennair range and much more. Master bedroom, bath, walk-in closet all are easily accessible with a walk-out from bedroom to front riverview deck. All on one level of premium living space. CHAMBERLAIN OFFERS WITH IT'S MANY VIEWS AND LOCATIONS ON THE EAST AND WEST SIDE OF THE MISSOURI RIVER. I AM HERE TO HELP YOU FIND THE ONE BEST SUITED TO YOUR NEEDS.